Ashley drove in from Wheeling to meet Brett and Tim for the ride. Broke 1000 miles for the year. At mile 65 I had a flat (third in the last few weeks). Tim pointed out that my tires are falling apart and the exposed bead is probably causing my flats. I have ridden 8000+ miles on the tires. 88.5 miles - due to time constraints and the headwinds we chose not to attempt the extra loop to finish the century. Cyclist Connection, 200 Cemetery Rd., Canal Winchester, OH. Start is off of 33 South towards Lancaster. Get off at 674/Gender Rd. exit. Left on Waterloo. 35 to 102 miles. Fairly flat course with a few small hills. Roads will be marked and maps provided. Budget Tour. $2 member, $4 non-member. The ON makes use of the “System Integrated Chain Case Technology”, where the chain case is a single sided, fully enclosed, structural part of the bike frame. This results in a maintenance free, clean and efficient drive system with 9 speed internal gears and disc brakes. The OnBike is the first production bike inspired by the ON Concept bike shown at Eurobike 2007. The ON makes use of the "System Integrated Chain Case Technology", where the chain case is a single sided, fully enclosed, structural part of the bike frame. This result in a maintenance free, clean and efficient drive system with 9 speed internal gears and disc brakes. The unique chain case structure is machined from billet, making the structure extremely stiff yet light at the same time. Cables are internally routed in the frame and the tube shapes are edgy and aggressive. The fork is the Cannondale specific HeadShok Solo w/DL50 which makes this bike truly single sided. The bike is the first of its kind, very unique and innovative. Bike to Work Challenge 2010 from Fulcrum Creatives on Vimeo. WASHINGTON — Transportation Secretary Ray LaHood, a weekend bicyclist, might consider keeping his head down and his helmet on. A backlash is brewing over his new bicycling policy. LaHood says the government is going to give bicycling – and walking, too – the same importance as automobiles in transportation planning and the selection of projects for federal money. The former Republican congressman quietly announced the "sea change" in transportation policy last month. "This is the end of favoring motorized transportation at the expense of non-motorized," he wrote in his government blog. Welcome to the Bike to Work Challenge! Hello there! We’re excited that you’ve made it here, to the site of one of the biggest and best bicycle commuter challenges in the United States. Please take a moment to register a team for your workplace—no matter how small you think it might be—and sign yourself up to ride. You can begin logging trips on May 10, but go ahead and use these next few weeks to get your team registered and prepped to take on the Challenge in a huge way! The Bike to Work Challenge is the opportunity each year for Central Ohioans to reflect on our personal transportation choices, to launch the spring season by saying “Yes!” to a lifestyle of active commuting. If you already enjoy this lifestyle, great! You can support others at your workplace who want to make a positive change in their lives. If you are someone who has chosen to make 2010 the year you begin biking to work, know that there is an entire community of people who are there to help you do just that. Whether you need education, a ride buddy, general information or the knowledge that you’re part of something bigger than yourself, you will find what you need within the Challenge to become a bicycle commuter. Do avail yourself of these resources! Our goal this year is to have 1,500 cyclists riding 60,000 miles on 11,000 commutes; you have a big part to play in making this happen. Thanks for your contribution to our success, and have a great Challenge! Let the games begin!! 12 people at the start including 6 new riders. We rode from the park south and headed over to Cleveland. E Naghten is closed so we made out way through the alleys to Cleveland. From Cleveland we hit the 670 trail. At Leonard my front tire went flat so we stopped for the repair. The valve popped off on the first tube when I tried to inflate so onto the next tube. Second tube held and we headed back out after we said goodbye to Morgen and Andy. Andy wasn't feeling well so they need to leave. Then we headed out 5th into a headwind and made our way through the airport. After the airport we headed south on Cassady into Bexley. From Bexley we rode west and then took the trail over to Franklin Park. We stopped to see the community garden and then headed west on Bryden to Yellow Brick Pizza. We had seven for late dinner and a beer. I ended with 22 miles but others may have had more depending on where they started. The American Cancer Society’s fourth annual Pan Ohio Hope Ride bicycling tour will roll from Cleveland through Columbus to Cincinnati July 29 – Aug. 1, 2010. The Pan Ohio Hope Ride is a noncompetitive statewide cycling tour to raise money and awareness for American Cancer Society programs and patient services. The Hope Ride is perfect for casual to competitive cyclists with one, two, and four-day options. Registration fee is minimal and cyclists are asked to set a fund-raising goal. Register by May 30, 2010 to receive special rate. 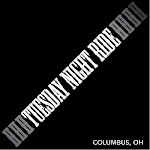 Sign up by visiting panohiohoperide.org or calling 888-227-6446 ext. 1222. The American Cancer Society saves lives and creates more birthdays by helping you stay well, helping you get well, by finding cures, and by fighting back. For more information anytime, call toll free 800-227-2345 or visit cancer.org. Met up with Bethia and Katie for a spin on the Prairie Grass Trail. We drove to the trailhead and headed out on the ride. Beautiful weather for a ride, sunny and mide to upper 70's. We rode through London and then stopped at South Charleston. We took a break and headed back. Finished with 36 miles and averaged 14.3mph. Lunch in Delaware at a gyro place, the owner gave us free tea. Headwinds for the last 20 miles - argh! We ended exactly at 4pm as hoped. We finished with 100 miles and averaged 15.4mph. The temps ended in the upper 60's.